Tour with Campers "Exploring Baltic states"
Campers are one of the easiest way to explore Lithuania and all Baltic states in your own way. Travelling by camper suggest freedom and opportunity to plan your time by yourself, make yourself free of schedules and routes. 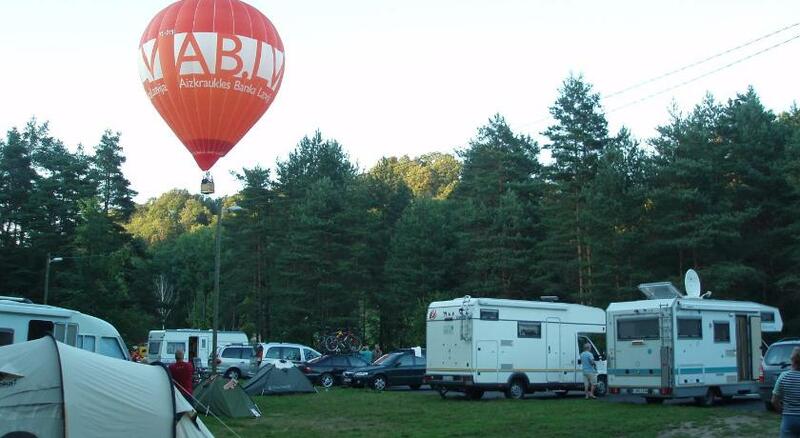 If you are looking for best camper to hire and best route to explore Baltic states, we can help you. Our company can suggest good prices and routes for your holidays on the road. Arrival to airport. Our representative will deliver Campers for rent in Lithuania to airport and provide all information about trip. Short sightseeing of Lithuanian capital Vilnius. Explore spectacular Old town by yourself. In Old town you can find architectural styles: gothic, renaissance, baroque and neoclassical, which complement each other. Most impressive buildings are in Chatedral square: Chatedral and its Tower. As well one of the most elaborate architectural complexes is the Vilnius University Architectural Ensemble. Late afternoon trip to ancient Lithuanian capital - Trakai. Trakai suggest to visit Island Castle, which is only one castle in Easter Europe that was built on an island. Trip to third biggest city -Klaipėda alongside Panemunė castle road, which provides to see big variety of castles and mounds. Short sightseeing in Old Town of Klaipėda. Ferry to Curonian Spit. Curonian spit, the peninsula formed by the sea waves and wind, in 2000 was entered into the UNESCO World Heritage List, because of its distinctive architecture. Night in campsite next to Nida in “Nidos kempingas”. and Lithuanian Sea museum , aquarium and dolphinarium. Afternoon ferry back to Klaipėda and trip to Lithuanian resort city Palanga. Palanga can suggest plenty of activities in town center, wild nightlife, or romantic evening on the bridge of Palanga with spectacular sunset. Morning trip alongside Baltic sea to Jūrmala in Latvia - the biggest resort in the Baltic States, which provides unique wooden architecture.Romantic streets and wooden cottages surrounded by pine trees also nowadays create the vision of the olden days. People are comming here to cure and relax. Night in campsite of Jūrmala “Nemo”. Departure to capital of Latvia - Riga. Visit to Old Town of Riga. Enjoy ancient history and rich cultural heritage. Riga has been named a UNESCO World Heritage Site. In Old Riga you can visit House of the Blackheads, St. Peter’s Church , Riga Dome Chatedral, Riga Central Market, and Riga Canal and Plantings. Afternoon trip to Sigulda, where you can enjoy a beautiful views of the River Gauja primeval valley alternates with cultural history monuments. Night in campsite of Sigulda “Siguldas Pludmale”. Trip to one of Estonian city - Tartu.The capital of sothern Estonia is the second largest city in the country and the oldest in the Baltic States. In Tartu you can visit Catherin’s house,Tartu city musem, Main building of Tartu university,Supreme Court of Estonia, Observatory and Old Anatomical theatre. Night in Tartu city caravan parking place B&B Herne. Morning departure to Estonian capital Tallinn. You can explore Tallinn in guided or self-guided tours, everything from ghost walk to pub crawls. In Old Town of Tallinn you can visit Chatedral of Saint Mary the Virgin, Danish King’s garden, Dominican Monastery Claustrum and Great Coastal Gate and Fat Margaret tower. Departure from Tallinn airport. Our representative will take camper from airport. Camper’s delivery to and from airport.